bed sketch, originally uploaded by Rodger Levesque. This is the initial sketch for my current project. I am building a bed for two sisters, ages 5 and 6. We are in the planning stage right now. You can see in the sketch that the two beds, notice the pillows, are on top of a playhouse structure. 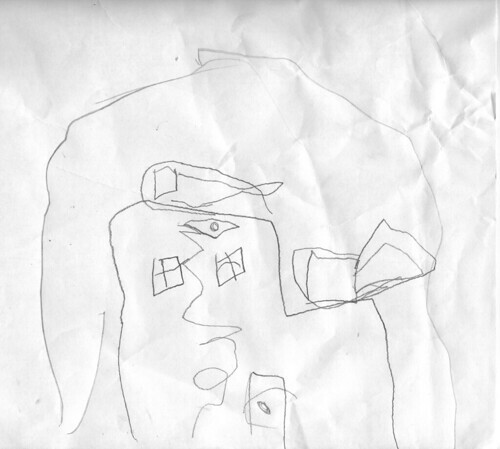 The 5 year old drew this sketch. The windows are real glass and the door locks. Inside the house is a light, a table and chairs and a toilet. The trick now is to build something that two girls will be happy with, even if I don’t include the toilet and real glass.